Ultra-Business. Dell has updated its Latitude series and added a number of new models. The Dell Latitude E7240 is a compact 12-inch business ultrabook, which wants to convince with professional equipment and premium features. We extensively tested how well it succeeds at this. The Dell Latitude E7240 is an attractive business ultraportable, but underneath its good looks is a fairly average laptop. At £947 (£789 ex VAT), it's also very expensive and not nearly as good value as the similarly priced Core i5 version of the HP Elitebook 840 G1. The Latitude E7240 is solidly made and well connected, delivering impressive performance in a thoughtful design. It's let down by the keyboard and a lack of configuration options, turning what could have been a superb business ultrabook into merely a very good one. The Dell Latitude E7240 may not provide the all-round class of consumer Ultrabooks – and it’s certainly nowhere near as desirable as its hybrid stablemate, the Dell XPS 12 – but it’s a solid addition to the Latitude family, with excellent connectivity and battery life, and the sort of build quality that should see it survive a long, tough life in the office. 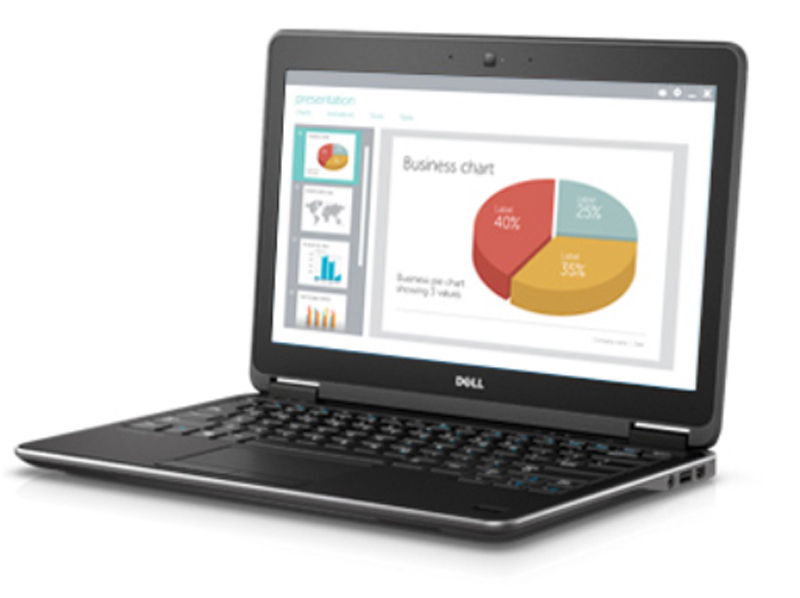 With the Latitude E7240 Touch, Dell has really spruced up its line of business notebooks. We love this laptop's sturdy design and attractive carbon fiber lid. We also appreciate the vivid 1920 x 1080 touch display, excellent keyboard and robust security. Unfortunately, this laptop's 4-cell battery doesn't last nearly as long as competing Ultrabooks -- and there's currently no extended battery option. Positive; Stylish design; quite high performance; good connectivity. Negative; Poor viewing angles and unnatural colors of the display. Positive: Lightweight, high-performance, long battery life; aluminum case. Positive: High power; long battery life; solid workmanship. 74.67%: This rating is bad. Most notebooks are better rated. This is not a recommendation for purchase.